The Boxer is a multirole armoured fighting vehicle designed by an international consortium to accomplish a number of operations through the use of installable mission modules. The nations partic**ating in the Boxer program have changed as the program has developed. 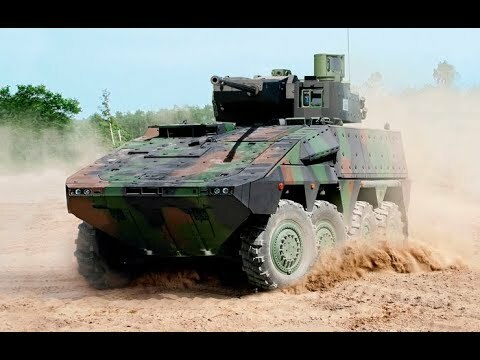 The Boxer vehicle is produced by the ARTEC GmbH (armoured vehicle technology) industrial group, and the programme is being managed by OCCAR (Organisation for Joint Armament Cooperation). ARTEC GmbH is based in Munich; its parent companies are Krauss-Maffei Wegmann GmbH and Rheinmetall MAN Military Vehicles GmbH (RMMV) on the German side, and Rheinmetall MAN Military Vehicles Nederland B.V. for the Netherlands. Overall, Rheinmetall has a 64% stake in the joint venture. A distinctive and unique feature of the vehicle is its composition of a drive platform module and interchangeable mission modules which allow several configurations to meet different operational requirements. Wiesz, że coś jest nie tak kiedy cenzurowana jest c.i.p.a w środku słowa partic.i.p.a.ting.